Reflecting its motto of Self-Discipline and Social Commitment, Tsinghua University is dedicated to academic excellence, advancing the well-being of Chinese society, and global development. 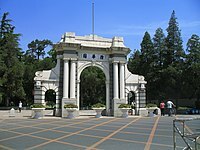 Tsinghua is perennially ranked as one of the top academic institutions in China, Asia, and worldwide, and was recognized as the 14th best university in the 2017 Times Higher Education World Reputation Rankings. 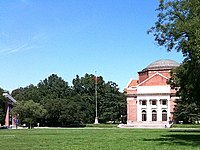 Since 2015, Tsinghua has been ranked as the best engineering and computer science school in the world based on factors including total research output and performance. 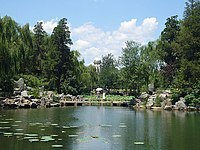 Tsinghua is a Class A institution in the Double First Class University Plan. The Peking Union Medical College was established in 1917 by the Rockefeller Foundation and was modeled on the US medical education system. Tsinghua first established its medical school in 2001 and in 2006, Tsinghua's medical school merged with the Peking Union Medical College renaming it "Peking Union Medical College, Tsinghua University". The school remains the top ranked medical school and general hospital in China according to CUCAS in 2015. The Peking Union Medical College is also the only medical school to be affiliated with the Chinese Academy of Medical Sciences. It runs one of the most competitive medical programs in the country, accepting 90 students a year into its 8-year MD program. Students in the 8-year program spend 2.5 years at Tsinghua studying basic sciences before moving onto Peking Union Medical College to complete the last 5.5 years in clinical medicine. ^ "University in China. China Education Center". Chinaeducenter.com. Retrieved 22 April 2012. ^ "Univ ranking in China 200" (PDF). Archived from the original (PDF) on 10 September 2008. Retrieved 22 April 2012. ^ 王晓珊. 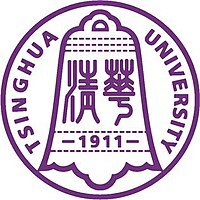 清华大学出版社外语分社:充分借助清华资源 让科技引领外语教学 (in Chinese). China Daily. Archived from the original on 12 August 2017. Retrieved 1 March 2017. ^ 朱文一 (1 October 2010). 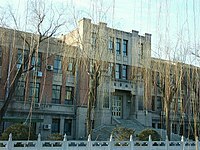 中國大學校園指南清華大學 (in Chinese). Beijing: Tsinghua University Press. p. .60. ISBN 9787302239987. ^ 本科专业 (in Chinese). 清华大学. Retrieved 22 October 2016.